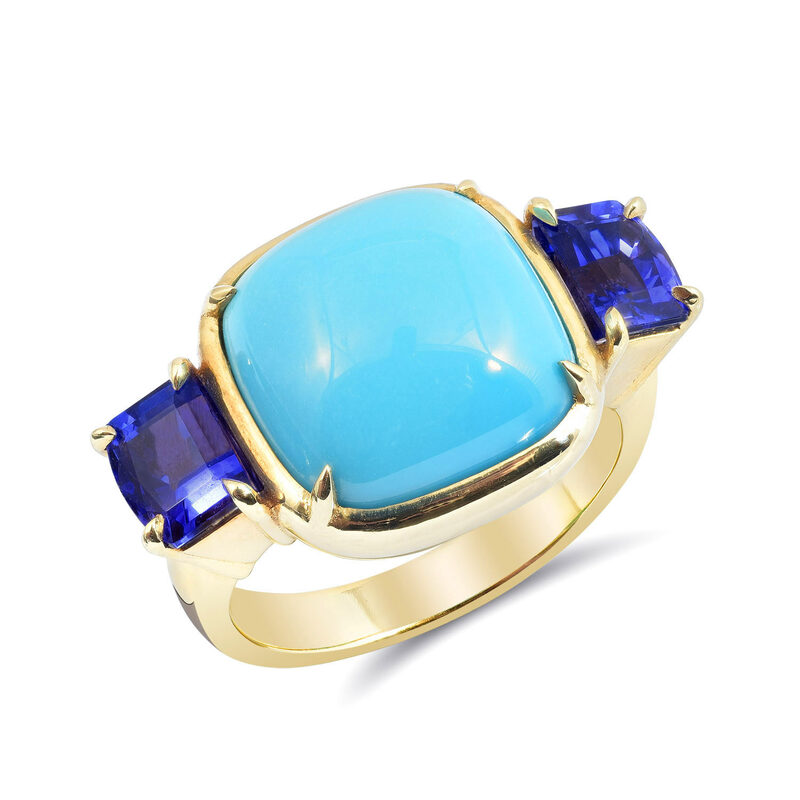 Our Robin ring is unquestionably cool, with a midcentury-modern vibe and stunning gemstones. The ring is handcrafted of 18k polished yellow gold and set with a cushion-shaped cabochon Sleeping Beauty turquoise center (approximately six carats) and two fancy-cut bluish purple tanzanites. A fabulous rendition of the classic three-stone ring! The ring is currently a size 6. First sizing is complimentary with purchase.